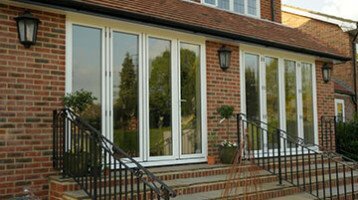 Integral blinds for BiFolding Doors are the latest thing in sun shading. These blinds are an integral part of the double glazed unit fitted between the inner and outer pieces of glass. This new method of fitting blinds inside double glazed units has been available in high end commercial building project for many years and is now available to the home owner. 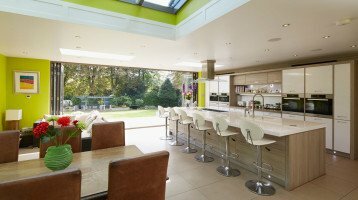 So what are the advantages of Integral Blinds for BiFolding Doors? The blinds are permanently sealed within the double glazing cavity. This hermetic seal ensures that these blinds remain ultra clean and dust free. Modern manufacturing methods, careful factory control procedures and design in window and door blinds lends itself perfectly to modern and very popular home improvement products today. 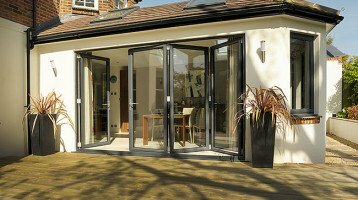 This is very much the case with the bifolding door that is one of the most popular home improvement products today. 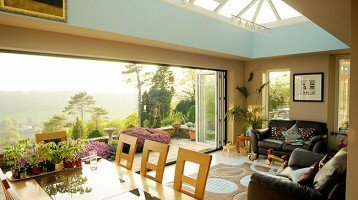 Even if you have large windows, french doors or large sliding patio doors, integral glass blinds are available for these as well. There are various methods of operating the glass blinds. Lowering and raising the slats themselves or opening and closing the blinds. You have the option of manual operation with specially designed magnets or automatic operation through push button remote control. There is even a solar controlled automatic option using advanced sensors that will lower your blinds when the sun is detected. No matter how you operate these innovative door and window blinds they remain completely sealed between the two panes of glass. Even if you have recently installed new windows and doors and wish to enjoy the advantages of this latest trend in door and window blinds. We can advise and assist by providing new double glazed units fitted with integral blinds. Please note that as the sealed units are manufactured around the blind system, new glass units are always required.